is a Norwich-based group of artists who create work collaboratively, as well as organising arts events together and making individual work. The members are Ann Christie, Helen Cranmer, Jan Dedman, Helen Derbyshire and Frances Wall. 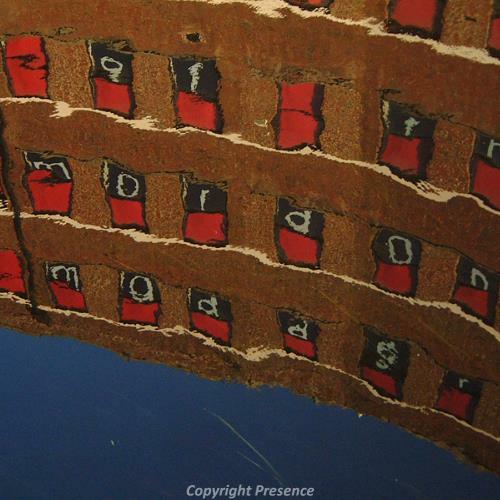 They created an installation at the old electricity board building for Waterways Arts Trail in 2006. The installation is no longer on display. Weaving and dyeing cloth was the basis of the Norwich economy for more than 600 years. Our interest in this often overlooked industrial history led us to research the role of the river in its development. Historians at the Carrow House Textile Study Centre provided us with a wealth of information about the dyes and weaving associated with Norwich over hundreds of years. 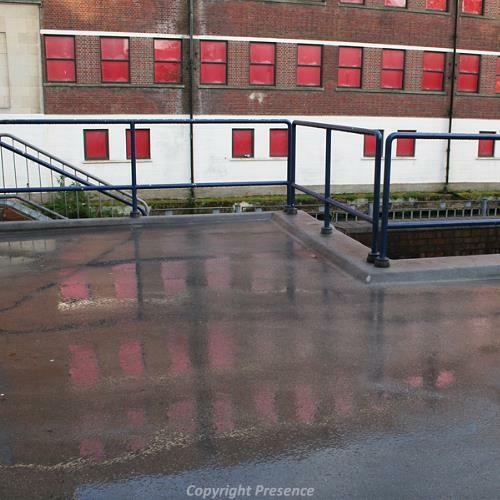 Norwich Red is the name of a bright red dye which was developed early in the nineteenth century by Michael Stark. His dyeworks was situated by the river on Duke Street where the former electricity board offices now stand empty awaiting redevelopment by the Targetfollow group. Yarns and cloths were sent to Stark's dyeworks from all over the country to be dyed; he made a breakthrough not only in the brilliance of the colour but in dyeing silk warps and wool wefts to the same shade. It is hard today to imagine how busy (and filthy) the river must have been when the industry of both dyeing and weaving was at its height. A elderly visitor to the exhibition of Norwich Shawls at the Castle Museum in 1995 remembered that his mother told him that in Norwich the "river always ran red". 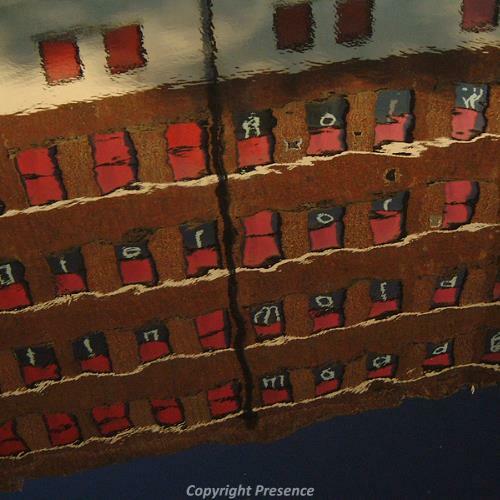 Our project refered to this history by putting something of it back into the river in the form of reflections. We were taking the colour of the Norwich Red dye and text relating to its composition and putting these on the windows of the empty electricity board offices on Duke Street. 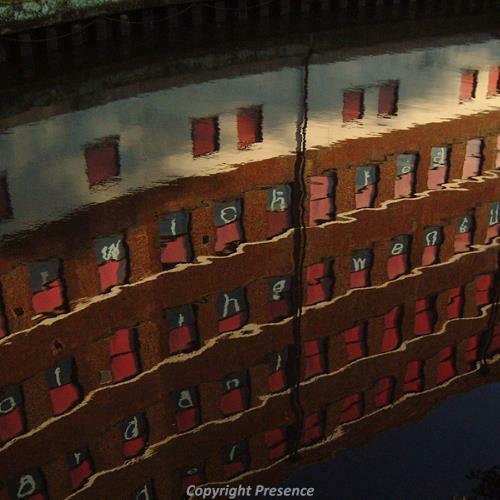 The words were designed to be read in reflection, and words and colour came in and out of focus as they ripple in the water of the Wensum.